Since getting hooked on flying in 1948 during my first airplane ride (in an Aeronca Champ), I have heard over and over again that you’re not a “real pilot” until you have flown a tailwheel airplane. 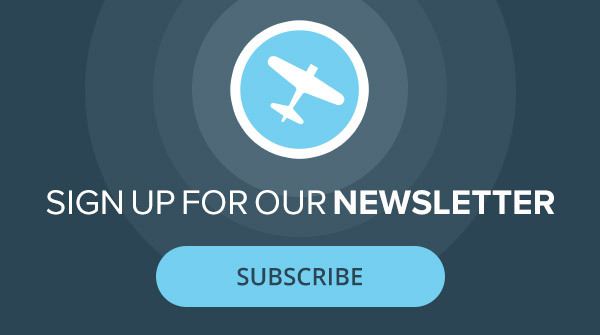 Hearing this and similar statements, mostly coming from old-timer taildragger pilots, and understanding the truth that getting your tailwheel endorsement and flying a taildragger can actually make you a better pilot, I added it to my bucket list with plans to do just that before my flying career would someday unavoidably come to an end. I got my private pilot license in 1981 in a Cessna 152, then went on to obtain my instrument rating in my own Piper Warrior in 1989 before upsizing to a Piper Archer in 1991. Over the years, I accumulated over 4,800 hours using my Archer for personal and business flying, giving back by flying Angel Flight and Mercy Flight missions, and participating in the EAA Young Eagles program. I have loved every minute and every takeoff and landing. 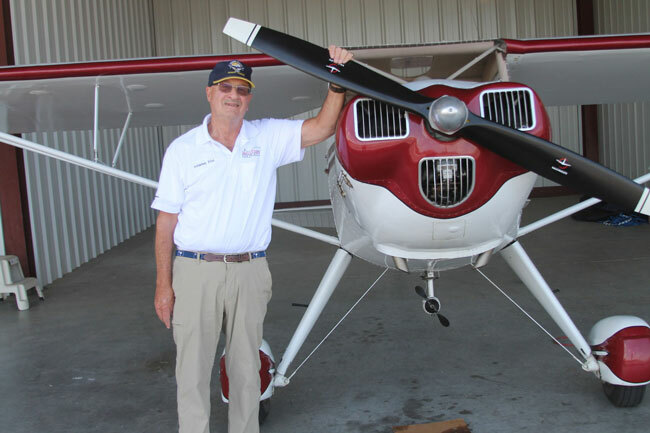 Still being healthy and hitting the ripe age of 76, it seemed like a good time to revisit the idea of knocking the tailwheel endorsement off of my bucket list. I reluctantly made the decision to sell my Archer and buy a very nicely restored 1940 Luscombe 8C—manufactured the same year I was—and set about getting my endorsement in my own taildragger airplane. My only previous tailwheel time was a bit over two hours with an instructor in 1959, when I joined the University of Maryland Flying Club in my sophomore year of college and first started working on my private license. Much to my parents’ relief, I had to stop because I couldn’t afford the $12.50 per hour out of my spending money allowance (the $12.50 covered both the airplane and the instructor). Fifty-eight years later, I would say about 2 percent of that training carried over. I started my tailwheel training in November with Todd at ACE Basin Aviation in Walterboro, South Carolina (KRBW). I thought that with all of my flying experience, I would get my endorsement in a few hours. Instead, I learned that after 36 years of flying heavier nose gear airplanes, one develops some not-so-good habits that are not conducive to flying a light tailwheel plane. Unlearning and replacing those habits—like not actually using the rudder as it is intended—takes some time. I received 5.1 hours of instruction over two days with Todd in a Cessna 120. At that point, the people who had purchased my Archer came to pick it up, taking with them my air transportation to Walterboro. That changed the trip from a one-hour flight to a four-plus-hour drive. I took a hiatus and waited for the delivery of my Luscombe, thinking I would then find another instructor who was much closer. Once the plane arrived, finding an instructor proved to be a more difficult task than I had expected. While searching for options, I spent a lot of time simply taxiing the Luscombe around our Greenwood airport on the grass and paved taxiways, getting used to the importance and feel of the rudder. Hindsight tells me that was a very good thing to do, and I would recommend it to anyone working on their tailwheel endorsement. In May, I found out about Stan, an instructor who was teaching primarily tailwheel students and worked out of Gainesville, Georgia, slightly over a two-hour drive away. The even better news was that he seemed almost as excited as I was about helping me with my bucket list item—to the point he was willing to drive to our Greenwood airport to work on my endorsement in my very own Luscombe. I soon learned that he, like Todd, was an excellent tailwheel instructor. After another 4.5 hours of instruction (plus some ground school), Stan signed me off. I love flying, and I have never felt that love needed to be rejuvenated. However, flying my Luscombe has done just that anyway. I love every minute and every takeoff and landing even more. It’s difficult to not go to the airport every day to just fly around and do a few touch-and-goes. There is nothing quite like flying a little taildragger and constantly working on getting better at it. Having scratched that item off of my bucket list, and 50 hours and 167 tail wheel landings later, I have learned that those old-timer taildragger pilots—and now I’m one myself—were right. Having become more proficient at the “rudder toe-dance,” I am now definitely a better pilot, and proud of it. Couldn’t find a hard surface to begin instruction, so I started in a Luscombe 8a on floats. Dual was $13 an hour, solo $11. But 65hp will go just so far so I “graduated” to a Cessna 150, on wheels!